James M. Lovett, age 91 years, a former resident of rural Buncombe, passed away Sunday evening, March 18, 2018, at 5:40 PM at Spring Creek Nursing Center in Murray, Kentucky. James was born September 7, 1926 in Memphis, Tennessee. He was the son of Thomas Barney and Victoria (Presley) Lovett. On October 25, 1951, James was united in marriage to Frances E. Henard in Johnson County, Illinois. She preceded him in death on May 26, 2010. Survivors include: his children – Nancy (her husband, Randy) Thurmond of Murray, Kentucky and Rodney (his wife, Donna) Lovett of Vienna; and a granddaughter – Erica Lovett. In addition to his parents and wife, James was preceded in death by his brother – Thomas Barney Lovett, Jr.
James was a U.S. Navy veteran. He served honorably in the Asiatic-Pacific Theater of Operation during World War II prior to his discharge on January 28, 1947. James was employed as an ironworker from 1951 until his retirement in 1988 by the E.T. Simonds Construction Company. He was a member of the Ironworkers Local # 782 in Paducah, Kentucky. James was a member of the Pleasant Grove Baptist Church. He was also a 49 year member of Saline Masonic Lodge # 339 A.F. & A.M.
James was an avid outdoorsman and especially enjoyed fishing and gardening. 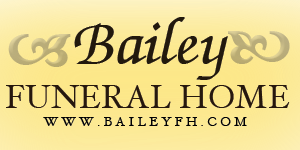 Masonic rites will be conducted Saturday afternoon, March 24, 2018, at 2 PM at Bailey Funeral Home in Vienna. A funeral service will immediately follow. Pastor Randall Henard will officiate. Burial, with military graveside rites, will be in the Pleasant Grove Cemetery, near Buncombe. Visitation will be held Saturday afternoon, March 24, 2018, from 1 PM – 2 PM at Bailey Funeral Home in Vienna. Memorials may be made to the Pleasant Grove Cemetery Fund, c/o Terry Norris, 300 May Avenue, Buncombe, IL 62912.